Valentines day is a day that fills some of us with excitement and anticipation of what a loved one may surprise us with. For others, it is a day for bitter disappointment and tears! Others, may think it is a day when we spend unnecessarily large amounts of money on unnecessary gifts, just to show our partner that we love them. My Hubby says I should already know this, he doesn’t need valentines day to prove it. Hmmm, not sure many women would approve of this logic! The thing is, I wasn’t expecting to receive a gift from my hubby this year as he had already told me he told me he wasnt going to bother. 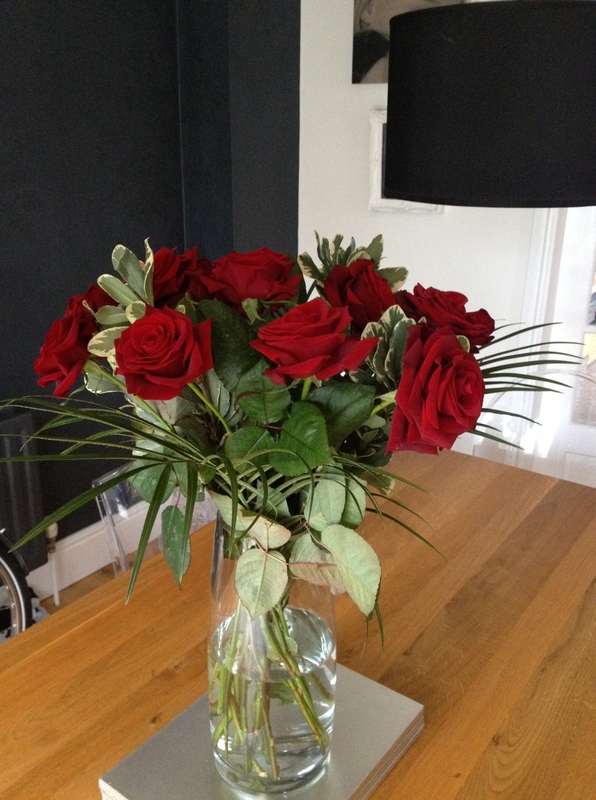 So when I walked through the door at the end of the day, to a beautiful bouquet of 12 red roses, waiting for me in the kitchen, it melted my heart! Most of us know whether our partners love us… Or not, as the case may be! But for just one day of the year, does it really hurt to do something special? To duck out of the office to buy your wife some flowers? To leave work early and cook a romantic meal? Or just give a single red rose to one of your friends?